Vishu is a harvest festival that marks the beginning of spring season in Kerala, India. It's widely celebrated by Hindu Malayalis not only from Kerala but also from around the world. Known as the Malayali New Year, it falls on the first Malayalam month of Medam, usually in the months of April or May in the Gregorian calendar. This time around, Vishu is celebrated on April 15th. Similar to other harvest festivals in India, Vishu has a specific set of traditional rituals to ensure good luck and prosperity for the family the entire year. Vishukkani, a ceremony that symbolises auspiciousness and new beginnings, is one of the rituals that Hindu Malayalis strictly observe on the day. 'Kani' means the 'first sight' and it's believed that on Vishu, the members of the family should witness Vishukkani first before anything. Apart from these items, some other crucial things include Kanikonna, a yellow flower found in Kerala, traditional fruits and vegetables (like golden cucumber), metals like gold, coins, currency notes, and raw rice. 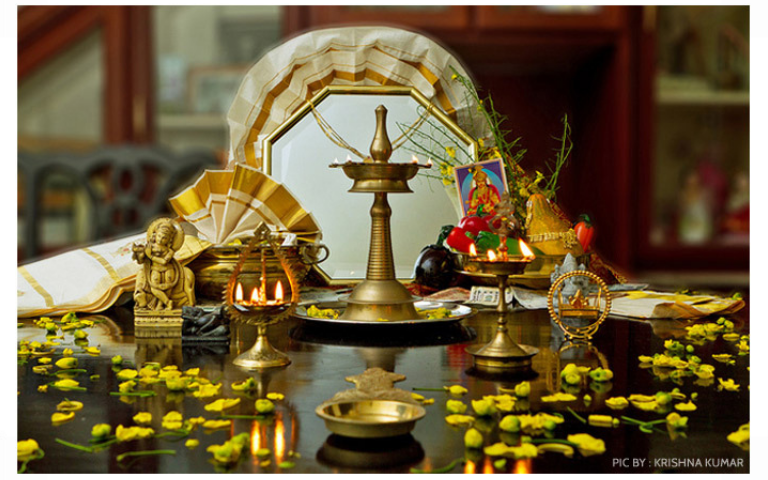 A traditional Kerala metal lamp called 'Nilavilakku' is also placed nearby the items. If you would like to know the full list, head over to Hindu Blog. 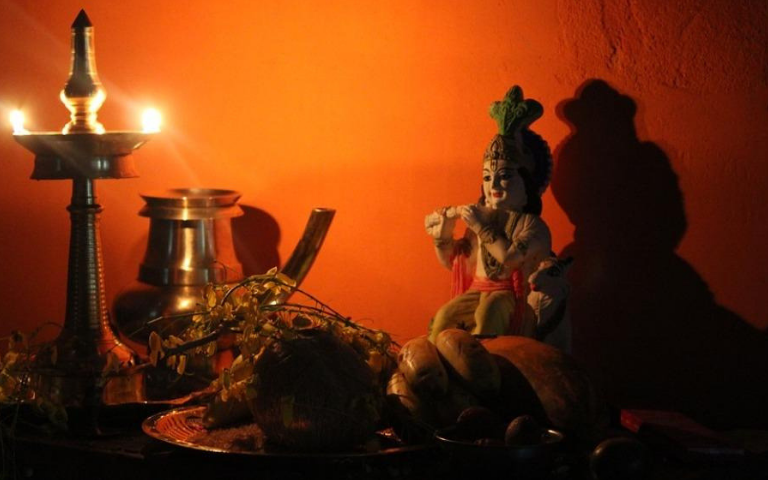 On the morning of Vishu celebrations, every member of the house arise before dawn and is guided by the woman of the house to the prayer room to witness the Vishukkani. Children are usually blindfolded. 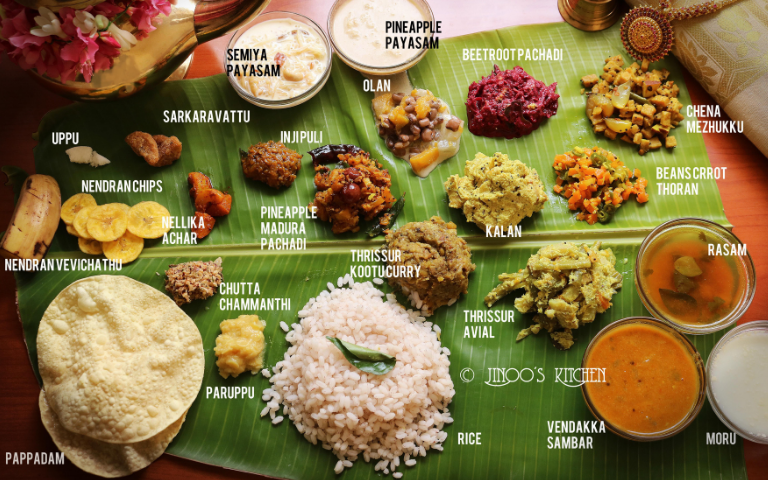 The prayers are followed by a vegetarian feast of traditional Kerala delicacies featuring sweet, spicy and sour flavours in the food items. So, how was your Vishu celebrations this year? Let us know in the comments! Chitthirai or Thai: When is the REAL Tamil New Year?